Rahane was dismissed for just 13 runs off 31 balls. Indian middle-order batsman Ajinkya Rahane is continued with his miserable form with the willow in Australia, but his bat grabbed everyone’s attention in Adelaide on Thursday (December 6). 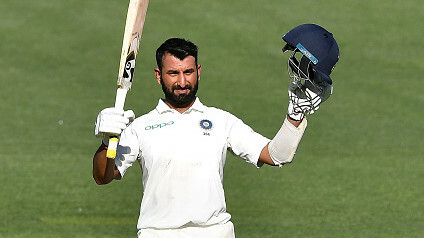 With the help of Pujara’s 123 off 246 balls and 62 runs partnership with R Ashwin, India managed to post a respectable score of 250/9 at the end of day one in Adelaide. 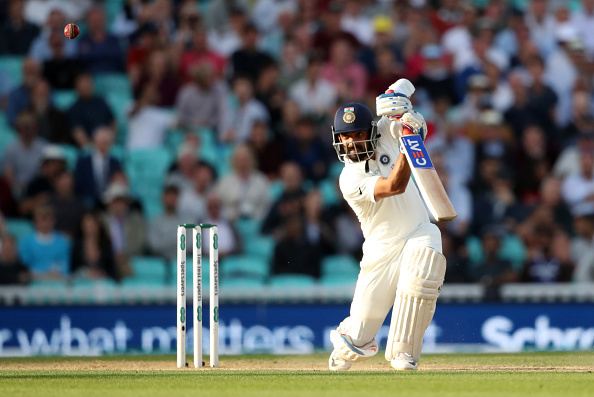 Meanwhile, it was an action-packed opening day in Adelaide, but Rahane's special bat also grabbed the attention of many fans, as he turned out with a bat signed by the legendary batsman Rahul Dravid. The Indian vice-captain used the bat signed by Dravid –India U-19 and India A coach for the first Test at Adelaide. The cricket great wrote “Best Wishes” for Rahane along with his signature on the bat. Noteworthy, Dravid and Rahane share a special bond having played together for the Rajasthan Royals in the IPL, and he has often credited him for his improved batting technique. Recently, Rahane was with Dravid in New Zealand with India A squad for the first of the three unofficial Tests before playing the first Test in Australia. However, he failed to make an impression with the bat here, dismissed for just 13 runs off 31 balls by Peter Handscomb off Josh Hazlewood delivery. While some cricket fans managed to grab a picture of his bat with Dravid’s sign over it while he was batting in Adelaide and shared the screenshot on the social media.